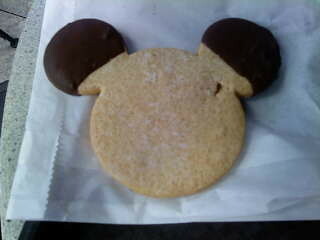 Laughs & Rants from My Inner Child: Mickey cookie! Mickey cookie!, originally uploaded by eblackwell. Cynthia at Starring Rolls gave me this cookie! She said I didn't even have to share!